You will visit Amman, the capital of the Hashemite Kingdom. 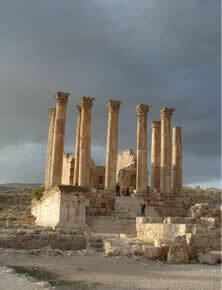 Amman is cited in the Bible under the name Ammon or Ammonite Kingdom. Also according to the bible, this was the site of confrontation between Davis and Goliath.The tour takes you to the Archeological Museum, the Citadel and at the amphitheater. Transfer to Salt is where the tombs of Job, the prophet of Jethro (Moses' father in law) and those of Jod and Asher (son of Jacob). Then, you will visit Bethany. In the New Testament, it is known as Bethany beyond the Jordan. The most important event in the River Jordan is undoubtedly the baptism of Jesus by John the Baptist. Dinner and overnight stay in Amman. Let’s go to North to visit the best preserved Roman civilization in the Middle East, the ancient city of Jerash (Gerasa). Jerash, a Decapolis city has been called the Pompeii of the East for its unique conservation status. The city has theaters, churches, temples (Zeus and Artemis), a nympheum and colonnaded streets. 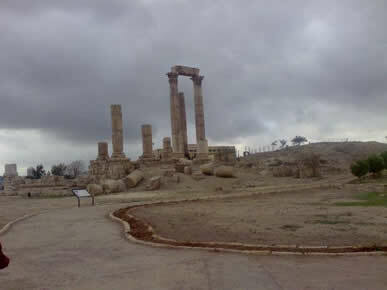 After lunch, you will see Umm Qais, Gadara also known in antiquity. Gadara enjoys magnificent views of the northern Jordan Valley, the Sea of Galilee (Tiberias’ Lake), the Yarmouk River gorge and the Golan Heights. Then, transfer to Kan Zaman restaurant for dinner. The walled village of Kan Zaman is a former Ottoman colony. Overnight stay at a hotel in Amman. Transfer to Madaba where you will visit St. Georges’ church (Greek Orthodox church in which the ground is covered with the famous mosaic map of Jerusalem and other holy sites dating from the sixth century AD) and the Church of the Apostles, where you will find also mosaic masterpieces. 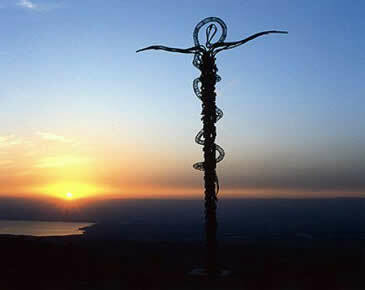 Then, you will discover Mount Nebo, the place where Moses climbed to see the Promised Land. A small church was built to commemorate the death of Moses. After lunch, departure to visit Mukawir. 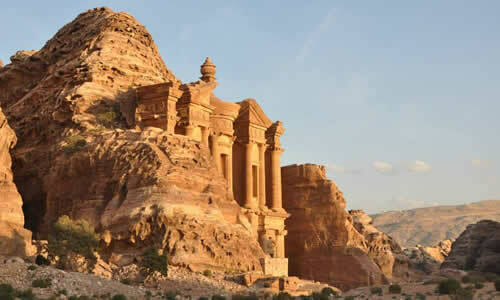 It is in this ancient fortress at the top of the hill that John the Baptist was imprisoned and killed as a result of the dance of seven veils of Salome.Dinner and an overnight stay in Petra. 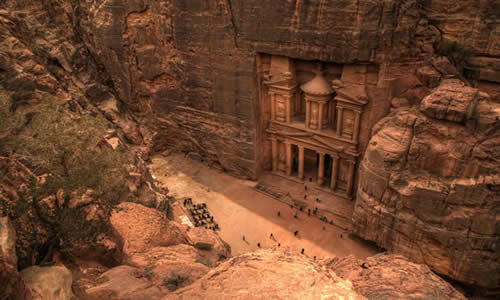 The rose-red city of Petra is a national treasure and has been designated a World Heritage Site by UNESCO. The source of Wadi Musa (the heights of the current city) would be the place where Moses struck the rock to get water. Aaron, the brother of Moses died and was buried in Jordan at Mount Hor in Petra. 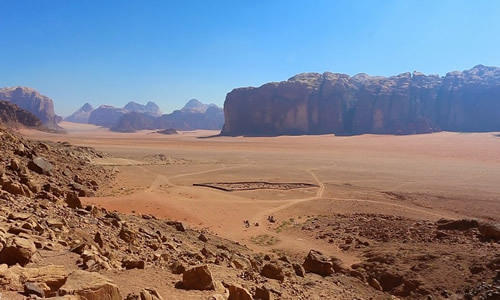 This place is now called Mount Aaron.In the years following the Emperor Trajan annexed Petra, the city has declined and slipped into obscurity until it was "discovered" in 1812 by a Swiss traveler, Johann Ludwig Burckhardt. Dinner and an overnight stay in Petra. 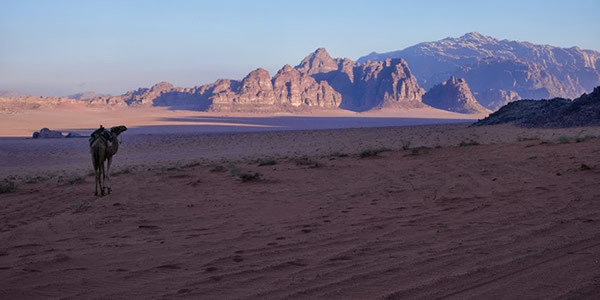 Transfer to the magical site of Wadi Rum, to enjoy the desert by jeep car with Bedouin driver, you will visit Lawrence spring, Al Khazali, Umm Fruth, Lawrence house, Sand Dune, Burdah Mountain, Anfaishiyya Inscription, Barrah Canyon, then transfer to Aqaba for dinner and overnight stay in Aqaba. 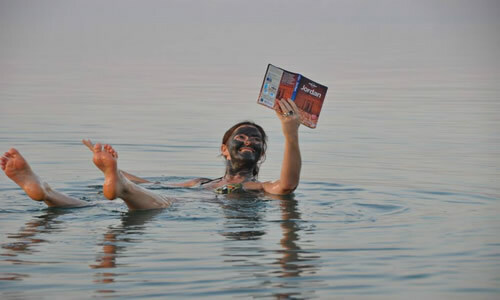 Free time in Aqaba, you will enjoy red sea: experiencing snorkeling, glass bottom boat, and after if you want shopping. 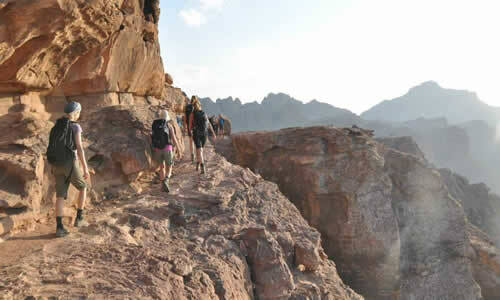 In the afternoon, transfer from Aqaba to the Dead Sea and the Araba road stop at the Loth's cave. The cities of Sodom and Gomorrah and other cities of the plain of the Dead Sea, or (cities of the valley) were the subjects of some of the most dramatic events of the Old Testament, including the story of Loth, whose wife was turned into a pillar of salt for disobeying God's will. Back at the hotel in Amman for dinner and overnight stay.